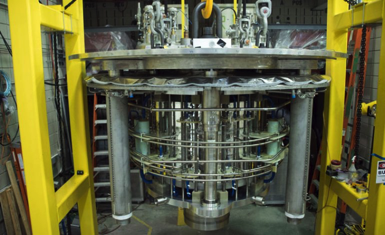 Meet the World-Record Series Connected Hybrid Magnet - located at the MagLab (NHMFL) in Tallahassee, FL. Combining tremendous strength with a high-quality field, the MagLab’s 36-tesla SCH promises big advances in interdisciplinary research. The SCH went to 36.0 T for the first time yesterday! Our research group will be involved in running multinuclear solid-state NMR experiments at 1.0, 1.2 and 1.59 GHz, in collaboration with Prof. Lucio Frydman (Weizmann) and Dr Zhehong Gan (MagLab, Tallahassee). Exciting times ahead for solid-state NMR, unlocking the periodic table, and investigations on many different types of advanced materials!